The Minister of Finance Jacob Jusu Saffa on Tuesday April 2nd 2019, launched the findings and recommendations of the technical audit report on roads, energy, NASSIT and telecommunications instituted by the government. In that report, fifty international and local auditors accused the country’s regulatory body, the National Telecommunications Commission (NATCOM) of demonstrating unfair and unequal treatment to mobile phone operators on the same circumstance and the payment of fines. It must be emphasized that a good number of Sierra Leoneans have questioned the findings in the report, describing it as one sided, given that the auditors did not talk to former NATCOM officials to get their own side of the story to ensure a well-balanced report. Some people have even questioned the methodology used by the audit team to carry out their work. Section 10 of the Telecoms Act 2006, (as amended), makes the Commission completely independent in its operations. It is very clear in the Act that the Commission’s major responsibility among several others is to expand telecoms services to rural areas which it executed very well especially between March 2015 and March 2018. Documentary evidence revealed that sometime in 2017, NATCOM received an executive clearance from the office of the President requesting the Commission to prevail on mobile phone companies to expand their network to the interior parts of Kenema, Falaba and Koinadugu districts. Apart from the President’s instruction, the people also called on NATCOM to ensure the expansion of network to their areas. Following that development, NATCOM decided to engage all GSM operators in the country. It was reliably understood that one of the operators bluntly told the Commission that it was not interested. Documentary evidence has clearly proved that NATCOM contacted all GSM operators to know who was interested to complement government efforts in providing telecom services to the rural areas. Our findings revealed that only Africell consented to work with the Commission in that direction. It must be emphasized that no shady deal was done in the whole process contrary to the findings in the technical audit report. Of course Africell subscribers can attest to the fact that the company is not only providing reliable communication service to the people but importantly has alleviated their hazard economic situation through its numerous promotions, education, agriculture, sports among other supports. 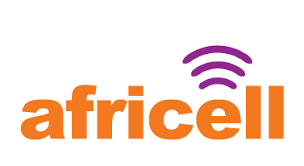 It on record that Africell installed cell sites to the above mentioned areas as outlined in the agreement which were commissioned by the previous administration in the presence of traditional leaders and several government functionaries. Some of the documents can be traced at the ACC and so if the audit team had contacted the former administration they would have got clear picture of the whole issue and will not come out with such a report. The commission never forced any mobile phone company against it will to contribute to UADF and that it also never applied different regulations to any special operator contrary to the findings in the report. It is on record that the commission requested all operators to expand their network to the most remote areas even if NATCOM decides to provide some resources. It was only Africell that agreed. All what the commission did regarding the expansion of network in four remote areas was done in line with section 9 (1) and section 2 (1) of the telecom act 2006 as (amended). To be fair with Africell, they were not treated well by the audit team. The Company added their own resources to buy the equipment to connect the people to the global village. If they have done a marvelous job, I think they should be commended rather than castigating them for a job well done. The company is now being crucified for doing the correct thing in line with their mandate of providing better services to the people including those in remote areas. Such situation will definitely discourage investors. But the Company is more determined to move ahead and work with the government and people to get quality, affordable services.